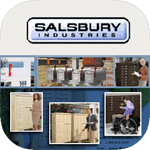 Courier Mailboxes by Salsbury offer a convenient way for you to deposit and collect mail and parcels. 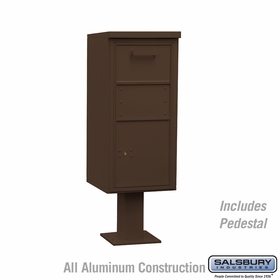 These commercial mailboxes are ideal for colleges and schools, military bases, commercial buildings, libraries, government agencies, businesses and many other applications. Feel free to contact us if you have any questions. 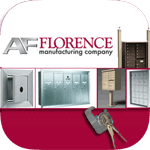 A knowledgeable staff is ready to assist you and help you look for the courier mailbox that's perfect for your requirements. Question: We are searching for an outdoor drop box for citizens to drop off unwanted prescription drugs. It needs to have a secure lock, would this Courier box be your best suggestion? Answer: Yes, it is, we sell courier boxes to police departments very frequently for this exact purpose. Question: What can I do if I cannot use the box after I receive it? May I return it? Answer: We offer a 30-day return policy and accept most items back for return. 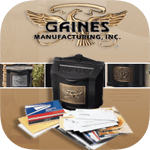 However, you are responsible for return shipping and any restocking fee that may apply to commercial items. Thank you. Question: What are the dimensions of the mail storage area of each courier mailbox? 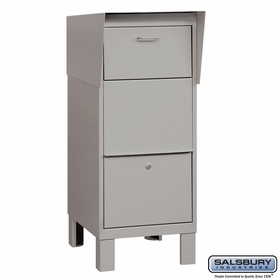 Answer: The courier box's storage area measures 19'' W x 28'' H x 21'' D. Thank you. 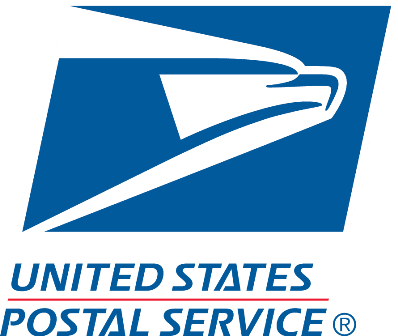 Question: Given the opening for depositing packages, what are the dimensions of the largest sized package that can be dropped off in the courier box? 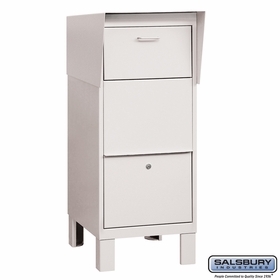 Do you have other boxes that would accommodate larger packages? Answer: The package opening is 15 3/4" W x 7" H, so it should handle packages under that size. The inner compartment is 21 inches deep, so packages that are longer should fit as well. 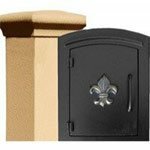 The courier box is our best seller for accepting packages. 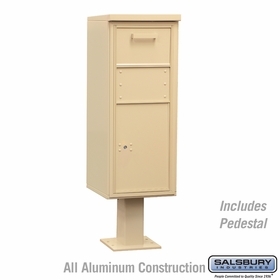 There are other mailboxes that are designed for receiving parcel boxes: see our Parcel Drop Boxes for more details. Question: We are looking for a 5-family locking mailbox. It will be installed along a busy rural road. 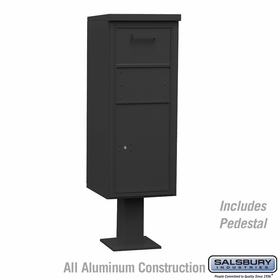 Answer: We have two options: we offer the 5-Door 4C Pedestal Mailbox - 3413S-05 and the 5-Door 4C Pedestal Mailbox - 3407S-05. 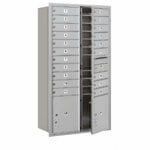 It is important that you consult your local post office before ordering one of these units. Question: I am working on an Eagle scout project for a retired US flag collection box. Unfortunately, the US Postal service just informed me they will not be donating a box as they originally promised. I do not live far from your Columbus Warehouse. 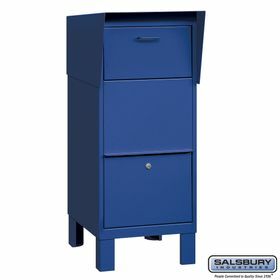 Are there any possibilities of obtaining a courier box that was possibly damaged, but still in working condition? Unfortunately, the cost of a new box is too costly for this service project. I would be very appreciative if a discounted box would be available. Color does not matter as we will be repainting the box to match the patriotic theme. Thank you for any support you may be able to provide for my Eagle Scout Project. Answer: Budgetmailboxes is currently looking into the reshipment of returns but we are not doing that at this time. We will certainly be on the lookout for a courier box for you. Question: Can I get this in Beige or Autumn Wheat? Answer: Yes, you can select a Custom Color For Courier Boxes. You will need to add this option when purchasing and provide us with the color name. Thank you. Question: I need a new incoming decal for my unit,. How do i get one? Answer: Please click the link to view the Custom Placard for courier mailboxes. 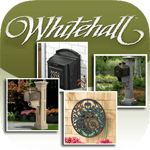 Question: I am requesting a quote for one (1) WL-4975 courier mailbox. 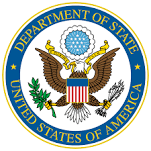 Please provide the cost, shipping cost (333 s. beaudry ave. los angeles, ca 90017) and lead time. Thanks! Answer: If you would like a quote please fill out the bulk request form on our website.